Armstrong worked for the Walt Disney Studios before becoming a freelance illustrator, selling his work to The National Review and The Saturday Evening Post. He later became a cartoonist who drew the strip John Darling. He has been drawing the Marvin strip for many years and runs a successful licensing company. 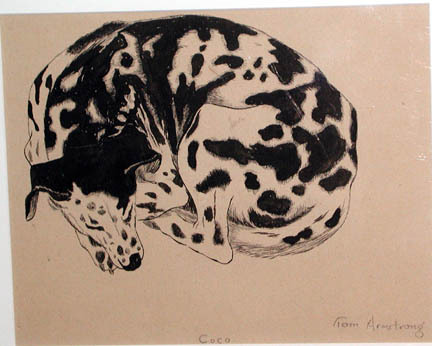 Armstrong, Tom, “Coco,” Westport Public Schools Digital Collections, accessed April 23, 2019, https://collections.westportps.org/items/show/500.